Are scams, illegal collection activities, abuses and harassment really necessary in order to be an effective debt collector? It's pretty amazing that even in today's day and age their are businesses that operate illegally in order to be effective debt collectors. Why must debt collectors at various levels break the law in order to do their jobs effectively? We do not believe that professionals operate in this fashion. Has decades of abuses finally caught up with this industry causing consumers and regulators alike to have to continue to point out to us and and make us pay for our shortcomings. Do we ever question our motives for continuing to do whatever it takes to recover a bad debt, even if it means breaking the law or violating a consumers rights? Enough is enough. Even our most diligent industry advocates have a hard time condoning and self-correcting some of the activities that still take place when some debt collectors try and recover a bad debt regardless of the how's and why's. 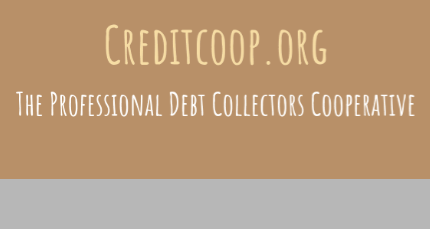 Professional debt collectors know how to collect a valid debt without breaking the law, using integrity, intelligence and a host of resources available to the debtor without having to resort to tactics that send signals of deception, law violations and the bullying that has and still takes place today in debt recovery. Can the consumer and the regulators that protect us trust the ARM industry to act as a professional service organization and do our jobs successfully without the preconceived notion that we are all the same and operate the same way. So where can a professional debt collector find out how do his or her job using the highest level of professionalism and escape the negativity surrounding the industry as a whole? They subscribe to and join our cooperative of ARM industry professionals. 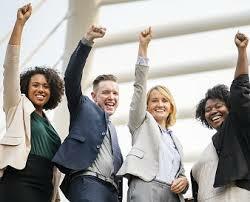 You either are already or will become a certified and compliant professional in debt collections by joining our cooperative "
LikedUnlikeAre you a professional debt collector? ShareShare Are you a professional debt collector? America's public schools should be more focused on achievement, not prison. Are more experienced doctors more expensive?